Im trying to find the "emergency SOS" to turn it off or edith my emergency contact. Welcome to iMore! Can you be more specific what you're trying to do? 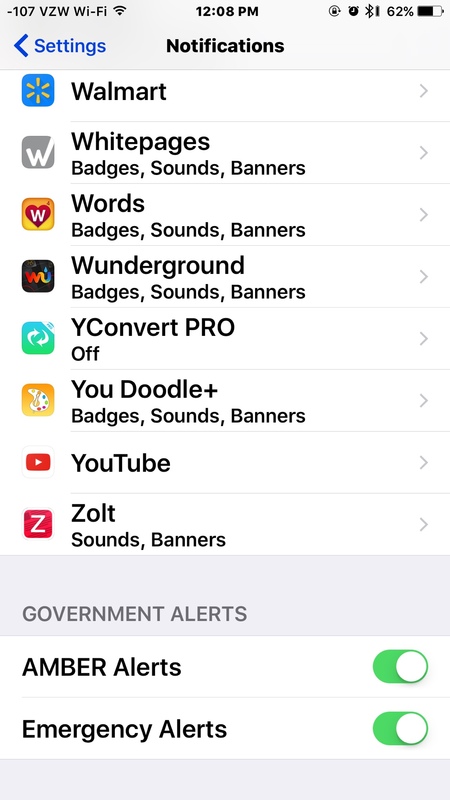 Emergency alerts are in settlngs >Notifications > scroll all the way down. As for contacts, not sure what you mean. Do you have a contact card made for 911? Are you talking about your Medical ID? Emergency SOS was introduced in one of the betas but was removed in the next update. If you are referring to Emergency SOS on an Watch you will have to open Health App on your iPhone, add Emergency contacts in there. After that, whenever you hold the side button pressed for more than 5 seconds you will have the option to place an emergency call which automatically texts your emergency contacts that you called 911. Ledsteplin and Not Quite Right like this. Why do I have an amount of storage in safari.